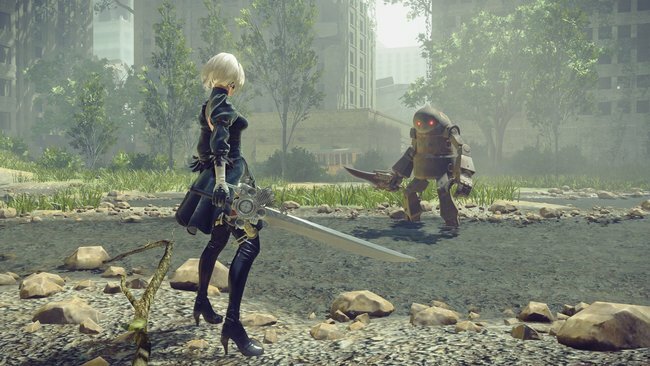 NieR: Automata's combat is an absolutely key part of the game, and part and parcel with that it features a wide array of weapons you can use. 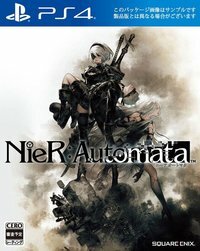 Several weapons in NieR: Automata are found in very hidden locations, each with its own set of abilities. 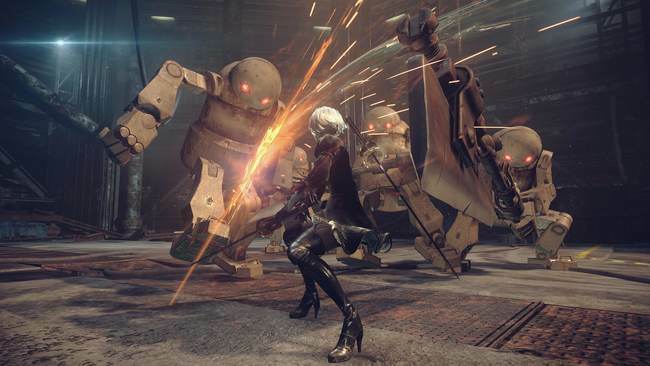 Each weapon is very unique, and finding your favourite is key to maximising your experience with Automata. 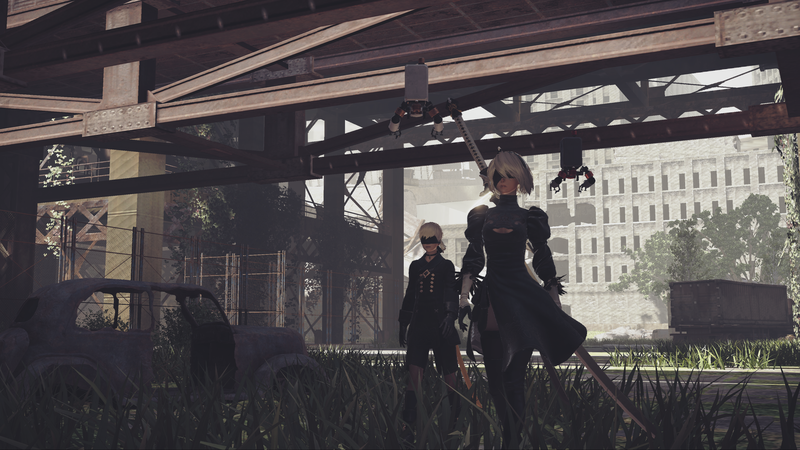 This detailed guide will feature details on all the weapons that can be found in NieR: Automata, plus information on their special abilities and why you might want to use them or level them up - choose wisely! 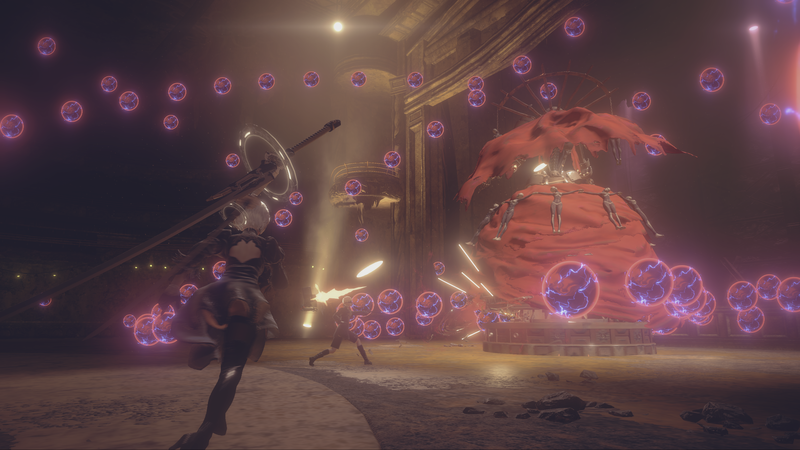 Combat is where Nier: Automata is at its best, so you definitely want to make the most of it. 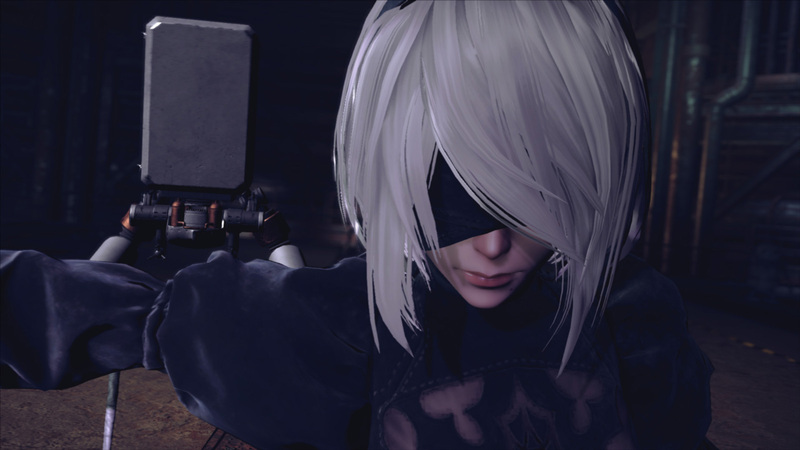 As a word of warning, the final three weapons in the list might be delving too into spoiler territory for some, so don't read past the spoiler warning near the end of this guide if you are trying to avoid spoilers. Special Ability 1: Attack Speed Up - Increases the speed of attacks. Special Ability 2: Bullet Absorb - Cutting through projectiles restores HP. Description: A sword wielded by a loyal attendant. Location: Treasure found in the "Soul Box" Tower in the Flooded City. Special Ability 1: Critical+ - Adds a critical-hit effect. Special Ability 2: High Stun - Adds a high probability of stunning enemies. Description: A common iron pipe. Location: Fishing in the Sewers. Special Ability 1: Endurance Up - Increases defense. Special Ability 2: Beast's Roar - Adds a beast effect to close-range attacks. Description: A sword with the king of beasts as its motif. Location: Purchase from the Resistance Camp. Special Ability 2: Phoenix Flash - Chance of restoring HP when damaging enemies. Description: A ritual item made from the plume of a phoenix. Location: Treasure chest found underneath the bridge connecting the Shopping District and Forest Zone. Special Ability 2: Bullet Rupture - Adds a shock wave when striking enemy projectiles. Description: A sword with a strange and comfortable aura. Special Ability 1: Stun Up - increases stun value dealt to enemies. Special Ability 2: Energy Charge - Charges on standby. Increases attack for a limited time. 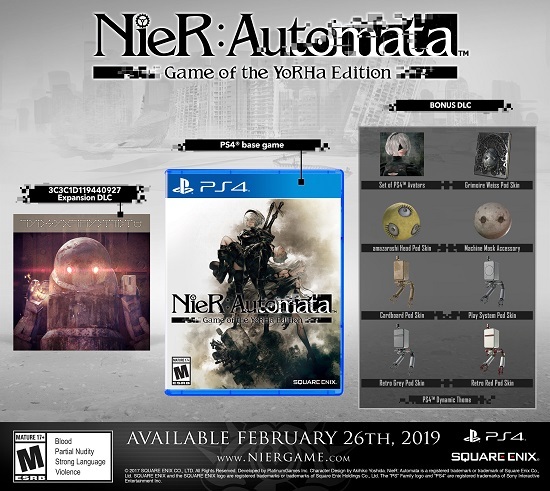 Description: The latest YoRHa model. Location: Finish the "Find a Present" sidequest. Special Ability 2: Finish Blast - Detonates the final hit of close-range combos. 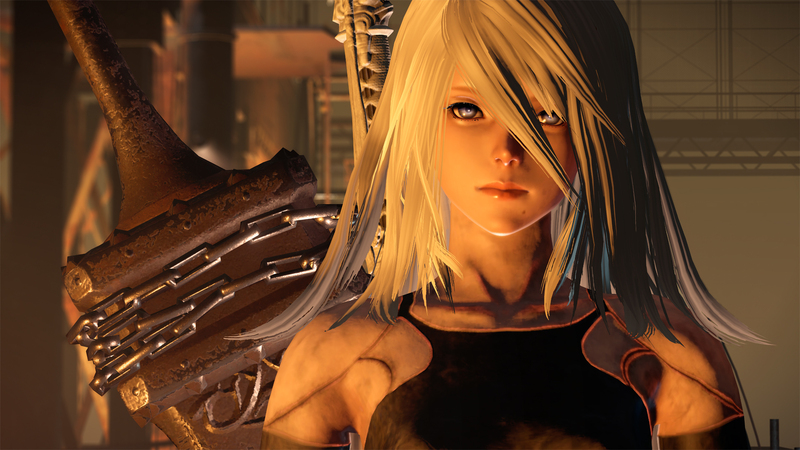 Description: An outdated YoRHa model. 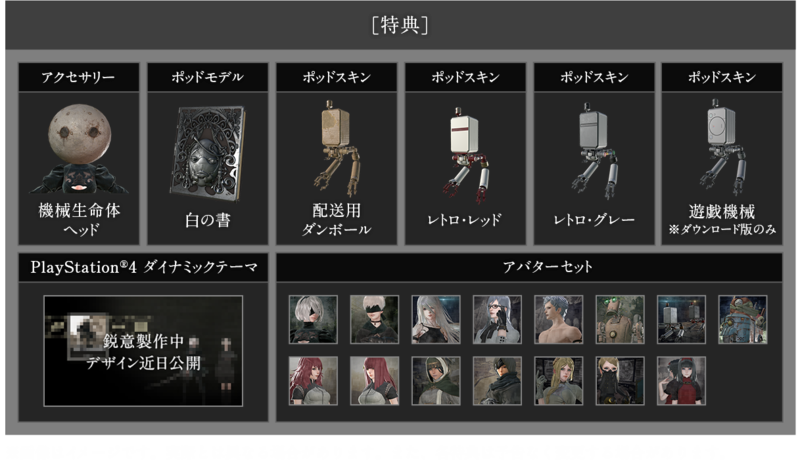 Location: Purchase from Devola or Popola. Special Ability 2: Holy Blessing - Increase attack power when HP is full. Description: A white blade used by a samurai of the east. Special Ability 2: Dark Impulse - Increase attack power when HP is 30% or less. Description: A black blade used by warriors of the east. Special Ability 1: Discount - Grants a discount at Resistance shops. Special Ability 2: Pod Charge - Lowers skill-gauge cooldown when attacking. 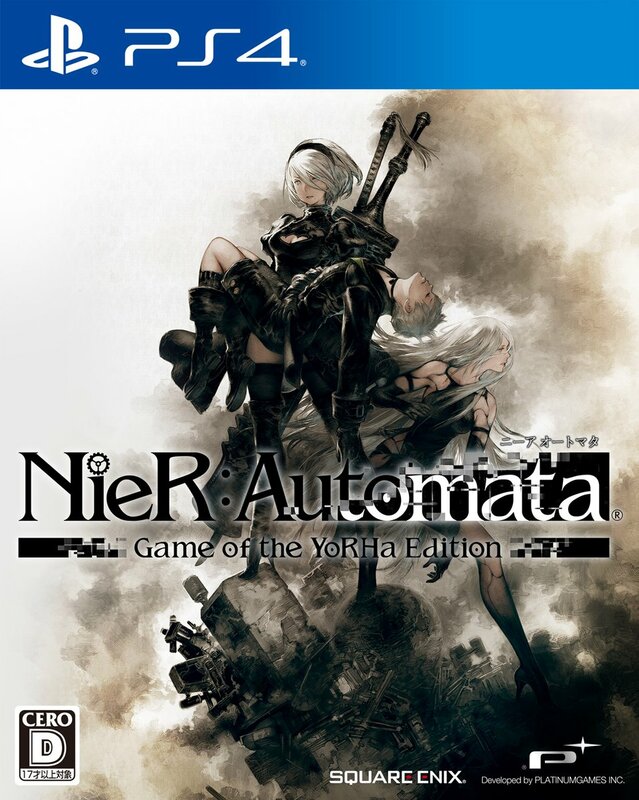 Description: A standard-issue YoRHa blade. Location: Finish the "11B's Mementos" sidequest. Special Ability 1: Robot Discount - Grants a discount at machine shops. 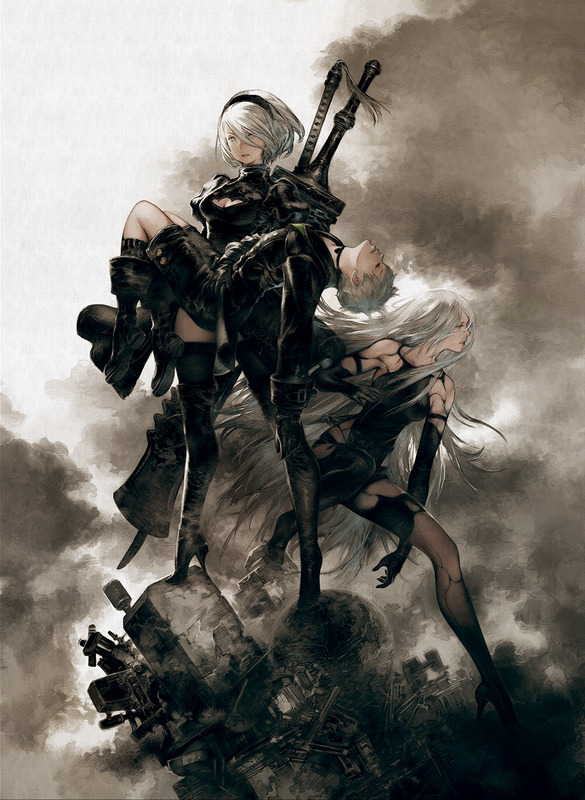 Description: A sword wielded by machine lifeforms. Location: Purchase from Pascal's Village. Special Ability 2: Shift Avoid - Changes damage value and your evade maneuver. Description: A magicial blade used by a royal family. Location: Hidden treasure located in the Abandoned Factory's underground area near the end of Route A. Special Ability 2: Hero Sigil - Changes damage values and treasure chests. Description: A stick made of cypress wood. Location: Hidden treasure near the Forest Castle Gate. Requires jumping on multiple pillars to reach it. Special Ability 2: Steel Spine - Decreases chance of staggering from attacks. Description: A colossal iron blade. 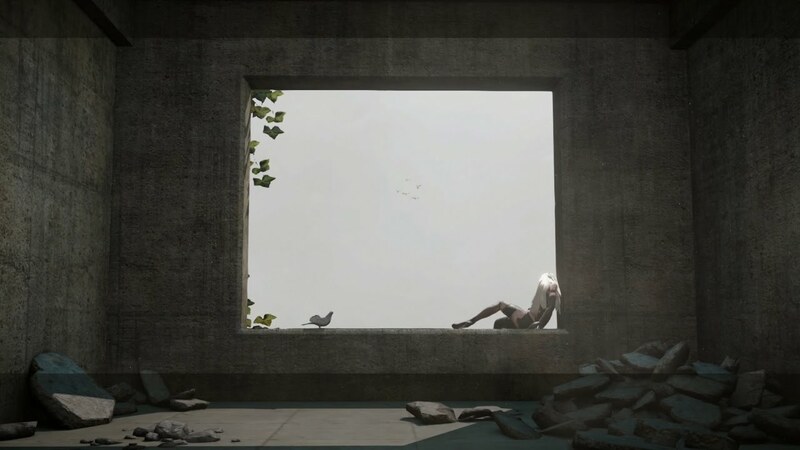 Location: Found in the Flooded City area by using the Scanner program. Description: A colossal axe offered unto the gods. Location: Treasure chest found in the Desert Complex area up a set of stairs. Description: A great sword shaped after the king of beasts. Description: A greatsword made from the plume of a phoenix. Location: Finish the "Data Analysis Freak 2" sidequest. Description: A white katana kept by a samurai of the east. Location: Found in the Abandoned Factory entrance where you fought the Goliath for the first time. Description: A black katana kept by warrior monks of the east. Location: Hidden in the underground area of the Desert Zone. Requires Hacking skill to access the area. Description: A axe used by machine lifeforms. Description: A spear made from the plume of a phoenix. 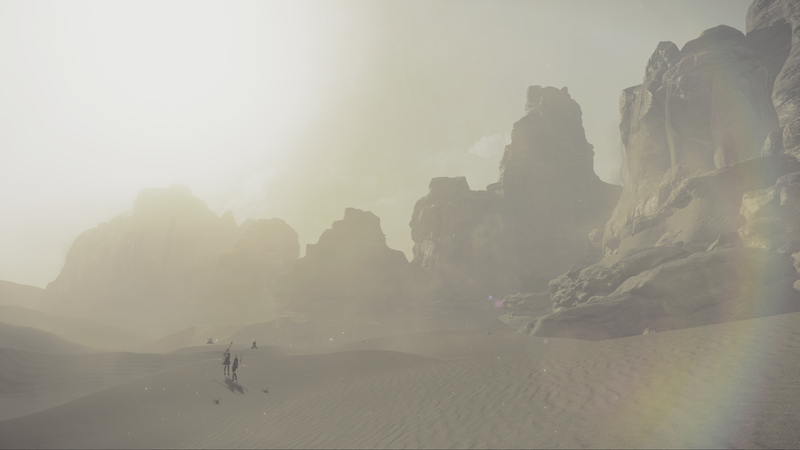 Location: Found around the Desert Zone's center. Requires the Scanner program. Description: A spear with the king of beasts as its motif. Special Ability 2: Dragon Wings - Increases power of mid-air attacks. Description: Symbol of the bond between a lord and an old dragon. Location: Treasure hidden in the Forest Zone. Located inside a cave below the ravine. Special Ability 2: Turncoat - Chance to subjugate foes when attacking them. Description: A spear used by a prince's double to murder his liege. Location: Finish the "Heritage of the Past" sidequest. Special Ability 2: Energy Charge - Charges on standby. Increases attack for a time. 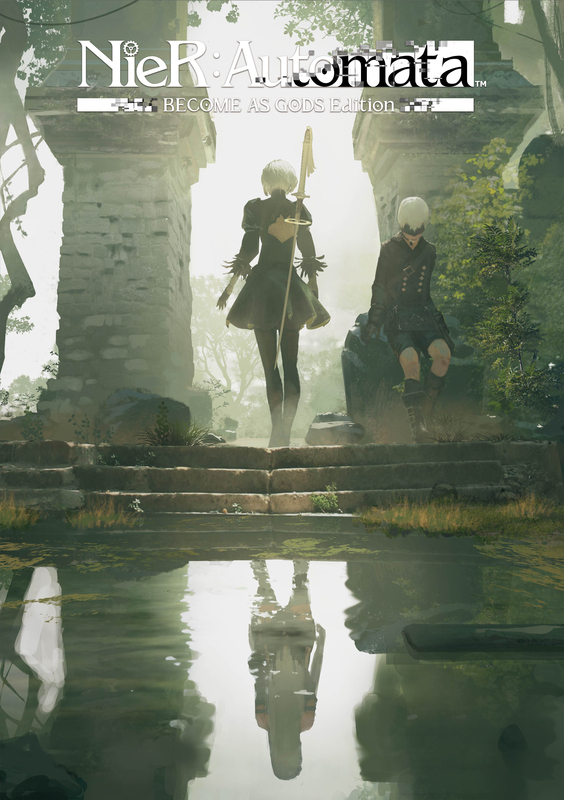 Location: Finish the "YoRHa Betrayers" sidequest. Location: Treasure chest in the Flooded City. Found on top of a broken building far away from the other broken buildings. Description: A white spear used by a samurai of the east. Location: Secret area by the Amusement Park's entrance. Find another ladder in the Sewers past the Amusement Park's exit. Description: A black spear used by warriors monks of the east. Location: Found in the Abandoned Factory's underground area. Located in the cult area on top of the conveyor belt. Requires Hacking skill to access the gate. Description: A spear used by machine lifeforms. 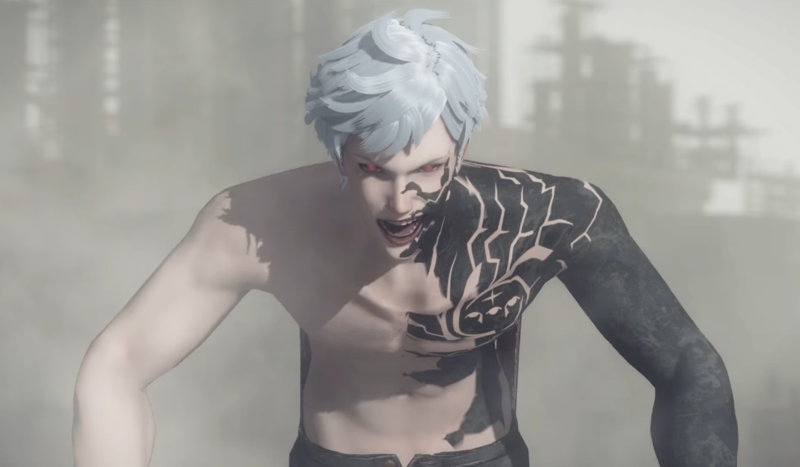 Special Ability 2: Devil's Hatred - Adds a shock wave when finishing off enemies. Description: Weapons shaped after a demon's profane wings. Description: Weapons made of white armor from the east. Location: Hidden shrine in the Forest Zone. Located slightly southwest of the save point on the hill by the top of the river. Description: Weapons made of black armor from the east. Location: Upgrade a weapon to Level 4. Description: Weapons made from machine lifeform's head. 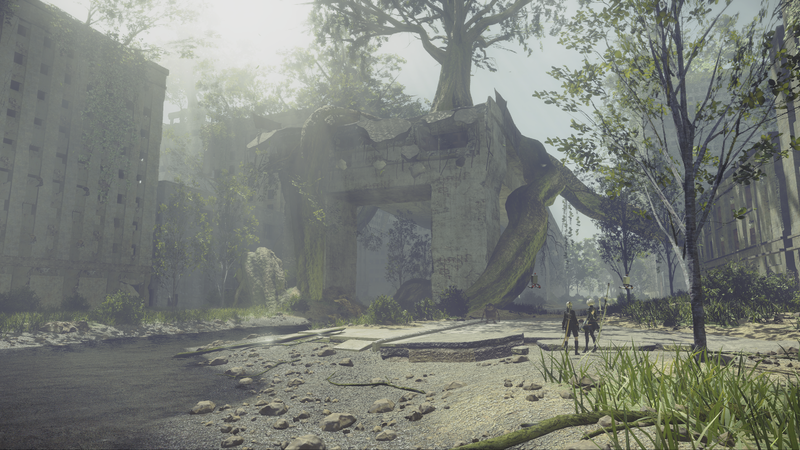 Location: Purchase from Pascal near the end of Route C.
The final three weapons enter spoiler territory, so don't read past this point if you are trying to stay clear of spoilers! Special Ability 2: Angel's Mercy - Restores HP when finishing off enemies. Description: Weapons shaped after an angel's holy wings. Special Ability 2: Insanity - Swing these weapons to hear Emil's voice. 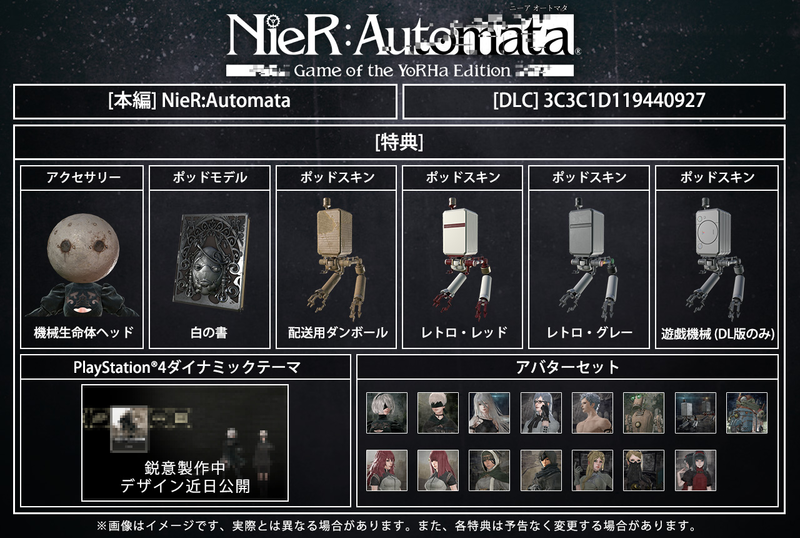 Description: Unique weapons shaped on Emil's head.